If you are looking for a unique way to round out your collection of United States post office stamps, a good place to start might be in U.S. possessions stamps issues. While the United States has arguably not been a country concerned with conquest and acquisition, as a country it has come to possess certain areas and territories which have become quite important philatelically speaking. These stamps are important from a historical perspective, but are also relatively inexpensive. They also represent a fairly limited timeframe, meaning that they are interesting but not particularly difficult to obtain. Some of the possessions stamp issues that you can use to supplement your United States post office stamps are, for example, Confederate State Issues. 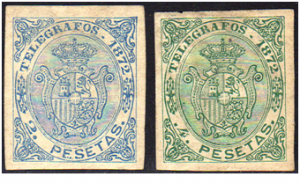 These stamps were issued from around 1861 until 1864. These can be found in the Scott Specialized Catalogue of United States Stamps and Covers, though some people also recommend the New Dietz Confederate States Handbook and Catalog 1986. Many people who collect these types of stamps are enthusiasts on the topic of the War Between the States, and this type of collection can be a good supplement to collections that represent that particular historical era. Another set of possessions stamps available represent the Canal Zone. This acquisition occurred for the building of the Panama Canal, and spanned the time period of 1904 to 1979. In 1904, when the independent Republic of Panama established itself, there were a number of overprinted Panamanian departmental stamps that were used as the postage of that region. An additional overprint was added to these stamps for the new postage. Additional variations followed as new Canal Zone stamps were later issued, followed by those issued by the Panamanian postal service. Cuban stamps are another U.S. possessions stamp group many collectors pursue. The first type of stamp in this collection is sometimes called an occupation stamp, as they were issued while Cuba was under U.S. military control. The others listed in the Scott U.S. catalog covering U.S. Possessions run from 1898 through 1902. More United States post office stamps are associated with the Danish West Indies. The U.S. purchased this colony in 1917, buying it from Denmark. However, the stamps themselves were never actually issued by the United States, but rather continued to come from Denmark. This particular segment of possessions stamps is among the more expensive to include. Oddly enough, these are one of the very few stamps where condition is less of an issue. Rather, collectors of these stamps would prefer copies that had genuinely been used versus mint copies. Several other categories of U.S. possessions stamps are available for collection, each with their own fascinating contribution to the history of the United States. Some other to keep in mind are those issued through Guam, as well as Hawaiian stamps. There are also stamps associated with the Philippines, Puerto Rico, and the Ryukyu Islands. All of these stamps vary in value and rarity, but are a worthwhile addition to any stamp collection, particularly for individuals with a keen interest in American history.